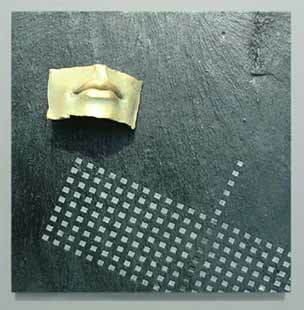 The lip sculptures are made in different ways to best coax the nuances of expression out of each material. 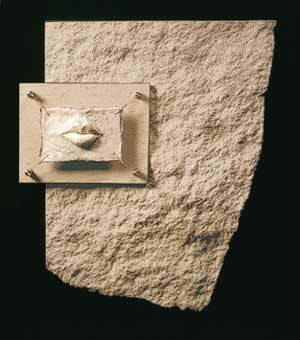 The material affects the form of the lips that makes the image, and in turn the image affects what materials might be used. If the lips are fashioned in metal, ceramic, glass, wood, or stone the tactile nature of the material is made accessible - inviting the touch. The mouth serves as a focal point in the larger context of the human face, and the expression the mouth conveys is interdependent on the expressions conveyed by the other facial features. In much the same manner the bronze lip image is often used as a focal point within a larger design. 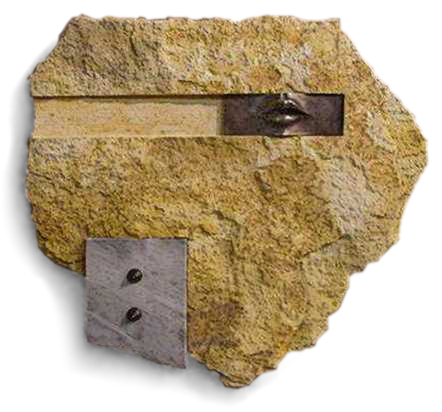 The structural context of the other elements in the 'lipscape' gives the lips a setting for the revealing relationships between the forms and materials used in the sculpture. Each material brings its own unique qualities to the work, and it is the interplay of textures, the contrast of colors, and the spatial dance that allows the form to explore the nuances of the physical.